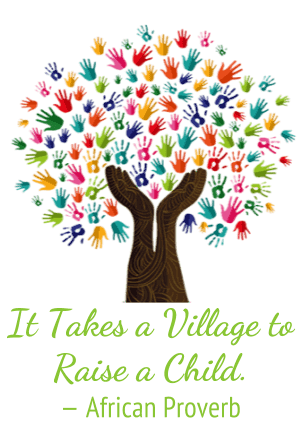 Learn how we can all help kids be safe in today’s troubled world. 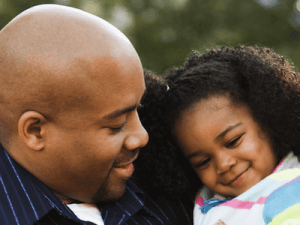 4 important steps for you to quickly make a difference in children’s lives! For International Child Protection Month this September, we are sharing weekly selected lessons and stories from the new book about protecting child safety at all levels of society, Doing Right by Our Kids. Called “a field guide to the practice of courage,” by New York Times bestselling author, Dan Heath, the book features Kidpower’s safety skills for child advocacy for parents, educators, organizations, and government. Learn More & Get the Book! Become a Partner – Help us reach 1 Million! Sept. 19 - "How can I keep my baby safe?" Every year, Kidpower teaches workshops and provides educational resources for tens of thousands of worried parents and other caring adults who urgently want to know the answers. Sept. 12 - "Help! My child is being steamrollered by the system!" “Kidpower, HELP! My child has just been suspended for kicking another kid who kept pulling their long hair. Even though we have asked the school for months to stop other students from bullying our child, this school has a zero-tolerance policy that is being mindlessly followed, and does nothing to address the problem. I feel as if my child is being steamrollered by the system,” from a mother in Toronto. This is a common concern we hear from upset parents all over the world. Zero-tolerance policies such as automatically suspending a child for hitting, even in self-defense, can backfire in damaging ways. This week we want to share an inspiring example from our new book, Doing Right by Our Kids, about how even one adult leader can change the “steamroller” effect of a system acting automatically and unfairly into one of compassion and effective action. 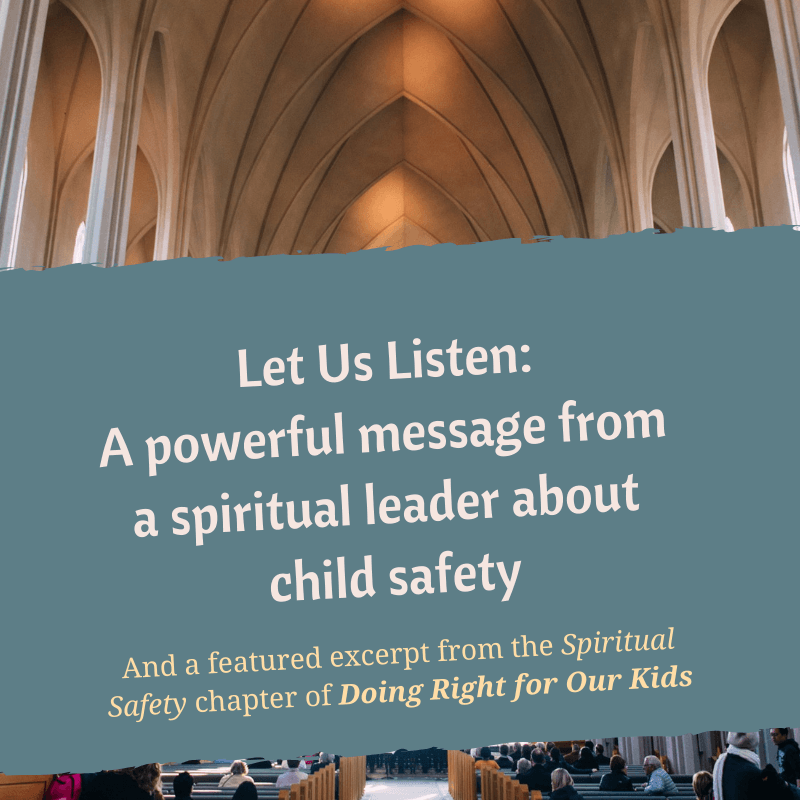 – Read the rest of this story and our Spiritual Safety chapter excerpt on our blog about how to safeguard children while encouraging them to respect their faith. 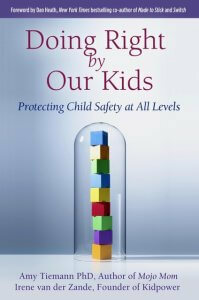 Coming next week, we will post another weekly selected lesson and story from the new book about protecting child safety at all levels of society, Doing Right by Our Kids. Take these 4 important steps to protect and empower our kids! In today’s troubled times, more than ever, all children need to know that they can turn to and trust an adult for help. Will you take a few minutes to learn about and share these 4 important steps that can make a lasting difference in a child’s life? You can join us in our goal to encourage every adult – parent, teacher, mentor, safety officer, neighbor, everyone – to make SURE that the children and teens in your life can count on you for help. We invite you to help transform the fear of bullying, violence, and abuse into a future of lifelong safety and success for today’s youth. 1. Make SURE kids KNOW you CARE! 2. Listen. Notice. Pay Attention. Listen when kids tell you about their problems. Notice when young people or their adults seem sad, upset, or alone. Pay attention to harmful behavior. 3. Reach out. Step in. Get help. Reach out by asking and listening. When you can, step in powerfully and respectfully to stop unsafe or disrespectful behavior. Get help when you don’t know what to do. Empower young people to take charge of their safety and well being. Teach kids how to prevent and solve problems with people. Practice with them so that they know exactly what to do. Guide kids to uphold these values and use these skills in daily life. Not sure HOW to do this? 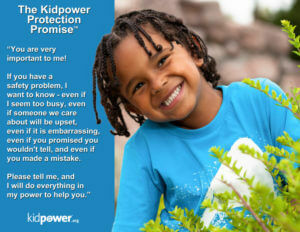 Use these free resources from Kidpower! It takes 1 minute to watch . Then please share it on social media to help us get the word out. Post one or more of our colorful posters in your home, school, or office to show your commitment. Our ‘Safety and Respect‘ poster is used to help stop bullying. Download the Kidpower 30-Skills Challenge Coaching Guide free with a Professional Membership to our Kidpower Resource Library (a savings of $19.99). Our free Confident Kids posters and teacher’s guide are used by schools, therapists and parents worldwide. Kidpower Coloring Books – Available in 11 languages! Share our press release and resources for International Child Protection Advocacy Month on your social media or through your media contacts to inform and inspire others. Then, send us a link to the public social media, website post, or news article where you shared. We will give you FREE professional membership for one year (a 1099 $USD value) to our Kidpower Online Library with hundreds of resources. Together, we can all make a difference in children’s lives! Kidpower Teenpower Fullpower International is a global nonprofit leader in child protection, positive communication, and personal safety education for more than 28 years – inviting caring adults everywhere to join families, schools, organizations, institutions, and companies in protecting and promoting the safety and well-being of young people. If you would like to join us in furthering this exciting initiative, please contact us at safety@kidpower.org.